Motley Crue have announced dates for their farewell tour of Europe. The 12-date, 3-week run opens November 2 in Newcastle, UK and wraps up in Helsinki, Finland on November 18. Motley Crue Fan Club presale tickets and VIP Packages starts Wednesday, June 10 in select markets. Tickets will go on sale to the general public on Friday, June 19 at 9 am local time. 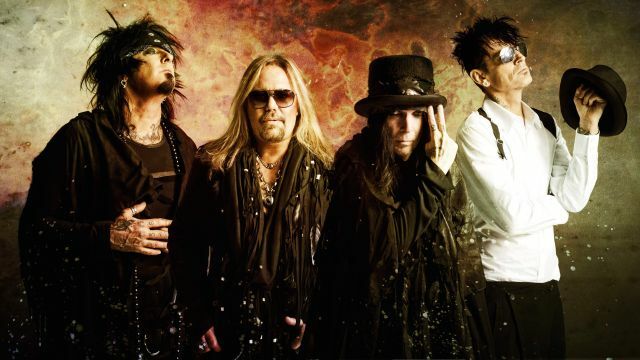 Motley Crue recently launched a fan vote to decide which European cities they will play on the tour as the group winds down its 34-year career this year. The band are playing three European festivals this month; they performed at the Sweden Rock Festival on June 5 and will appear at Austria’s Nova Rock on June 12 and UK’s Download on June 14. A North American summer run starts July 22 in Eugene, OR, and a recently-announced final leg kicks off October 5 in Hidalgo, TX. Motley Crue will wrap up their live career with three shows at the Staples Center in Los Angeles, closing things out on New Year’s Eve.